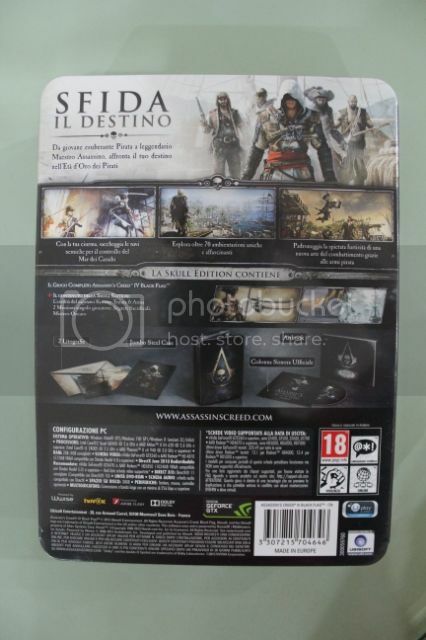 Got yet another AC IV Collector's Edition on Tuesday, the Italian Exclusive Corsair Edition! OH YEAH.. SCROLL DOWN THIS POST SLOWLY FOR SUSPENSE! 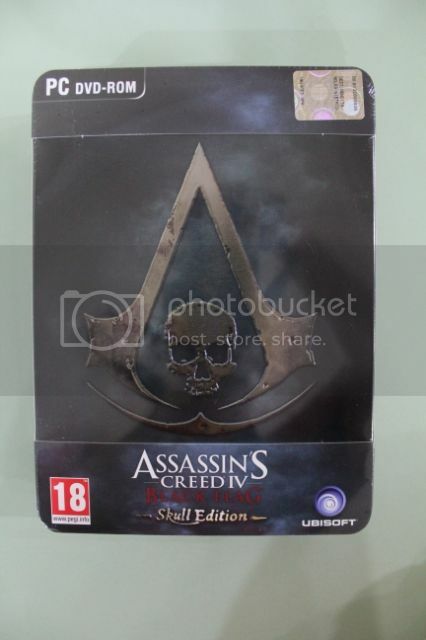 This is essentially a re-branding/re-boxing of the Skull Edition. 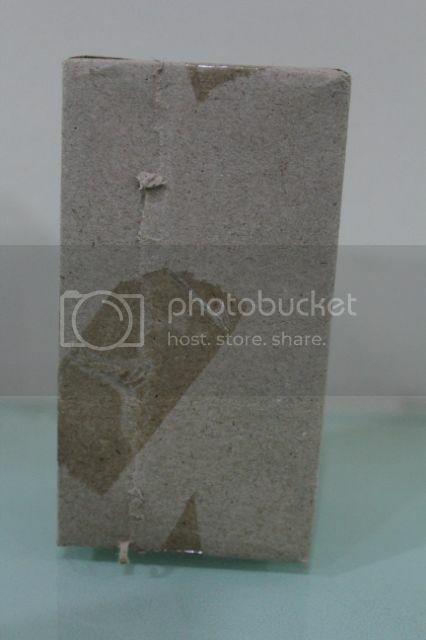 Do click on the link to see the unboxed pics by a good friend, Jerome, whom I got to know recently. So what makes this special? Or more importantly, why did I buy another one of this? We will see in a bit.. The Corsair Edition box is actually bigger than the Skull Edition Jumbo SteelCase to store something..
Something wrapped in brown paper! Surprise Surprise! 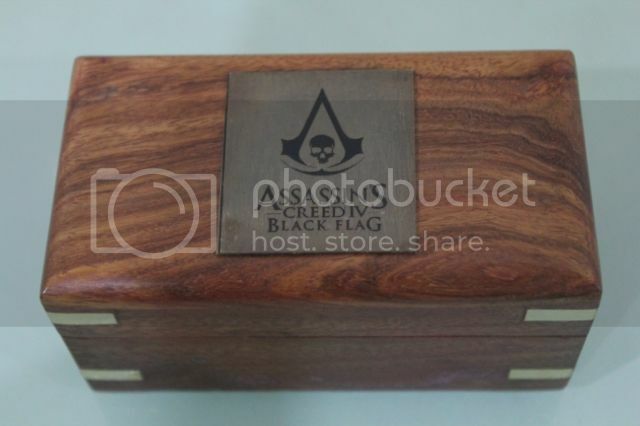 A wooden case with the AC IV emblem.. Like you didn't see it in the above pic? It opens to reveal a plastic wrapped object of interest..
At this point of time.. Does it feel like you are really opening a Treasure Chest of Secrets? Or maybe a Christmas Present? Extends out to be a..
Not that it wasn't a SpyGlass before but now it's a functional SpyGlass! Putting it back into the Wooden Case.. 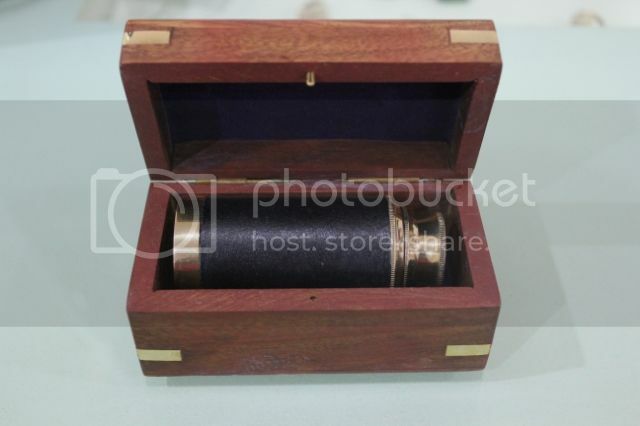 The only thing better than a cool item, is a cool item in a cool presentable box. 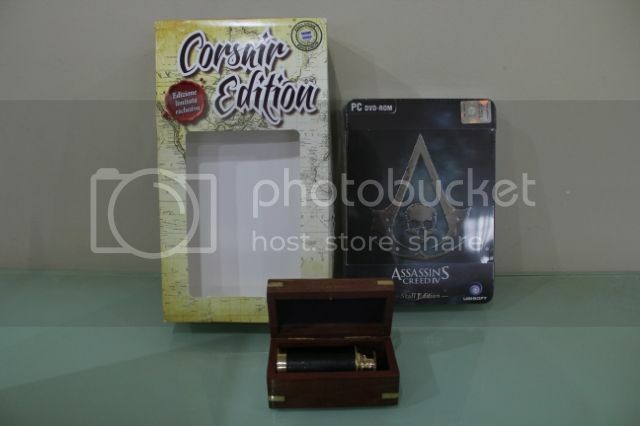 Yes.. so this SpyGlass was a pre-order bonus for the Corsair Edition and I had to get it. It certainly exceeded my expectations of it. Looks real classy with the wooden case. Maybe wood in Italy is cheap but I was expecting the case to be some cheap plastic. 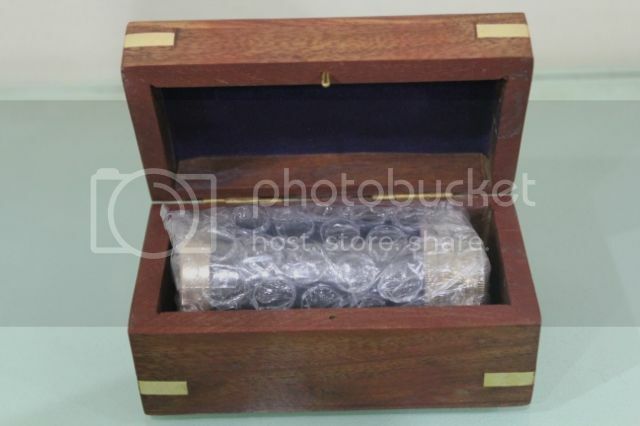 The SpyGlass was also securely wrapped in bubble-wrap and plastic for maximum protection, so real happy with that. 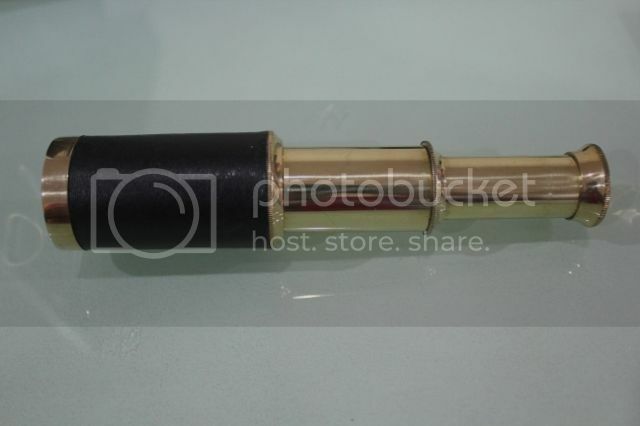 The SpyGlass itself looks real nice and classy. Not sure how accurate this is to the in-game SpyGlass that Edward Kenway uses so maybe the design could have been different. But still real nice. 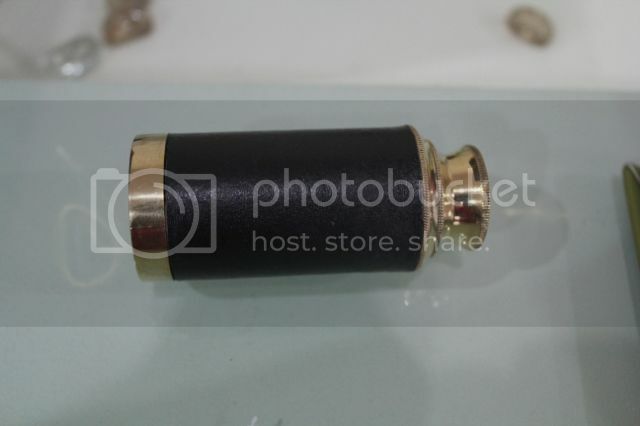 It has a good weight to it and I believe the gold part of the SpyGlass is made of metal. Also nice to see that it isn't some cheaply-made item. The SpyGlass also actually works.. The magnification isn't crazy but try using it and you can actually see it's actually quite decent. 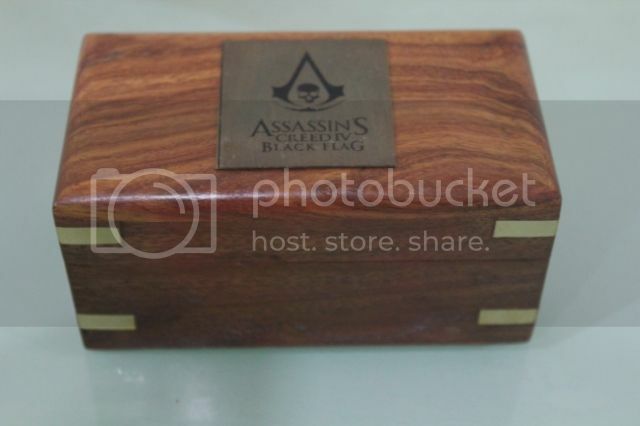 The wooden case also closes with a "click" so the lid isn't loose..
Really happy to see that this is a high-quality preorder bonus and not some cheap crap just to garner more sales. I suppose not many of these were made so it might be highly sought after, once more people hear about it. So here's the back of the box. Delayed this pic so I could build some suspense on what is in the box.. 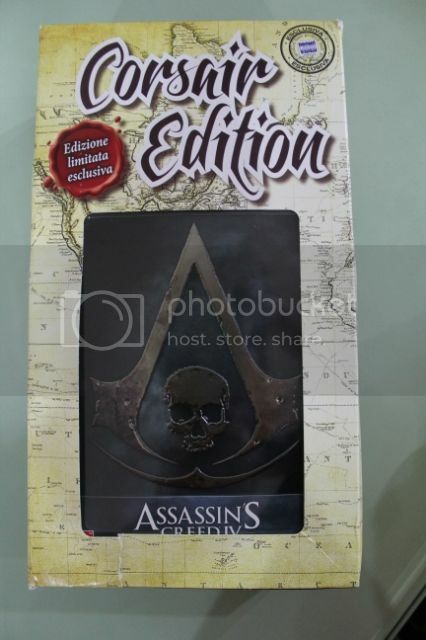 However, did a silly mistake on getting a PC version of the Skull Edition, which will be harder to sell away compared to the console versions. It's also a Italian based game so I'm not even sure if the game is in English. Could anyone help me on this? 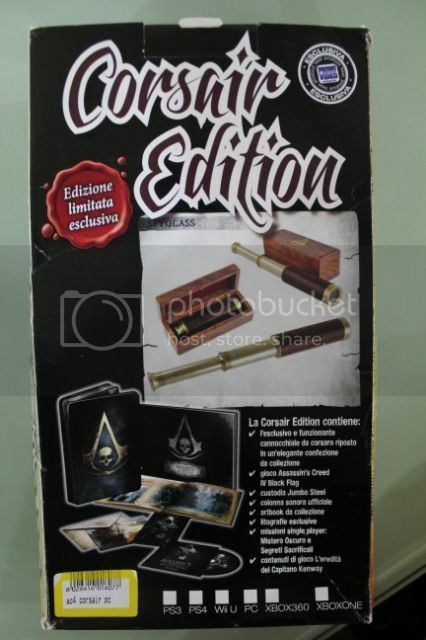 I'm pretty sure the manual is in Italian but what about the game itself? Will the dialogues and in-game menus be in English? Anyone? Perhaps some CE forum guys? 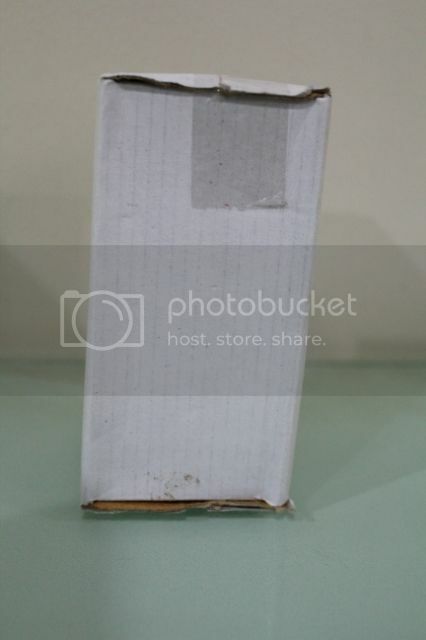 Or maybe I'll have to open this up to sell the contents separately? The extra disc case that's included in this is actually pretty cool that I might want to keep. Anyway.. 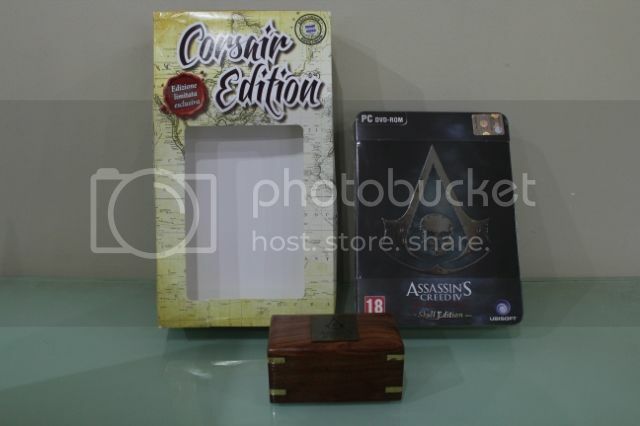 Here's all the contents together..
A truly stunning and classy item to add to my AC IV Collection!